It doesn’t matter whether you love it, or hate it, you still use Facebook. It’s hard to stay away from world’s largest social network that provides the latest news from your friends, relatives, public figures and many other people you decide to like or follow. However, social media might put your privacy at risk or compromise your reputation. Those pictures from parties might not be accessible to your future employer. However, cyber criminals and thieves might be keeping an eye on you too. Hence, you have to secure your Facebook account in order not to get robbed or get your account hacked. Below you can find five tips how to make it. Facebook users should secure their accounts to avoid privacy-related problems. Facebook allows sharing posts with friends, public or custom people that you choose. Typically, all posts on Facebook are shared to Public by default. 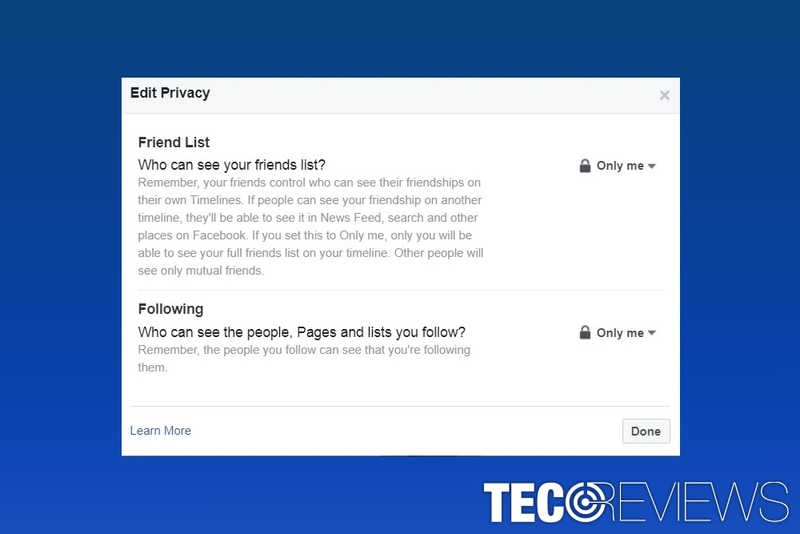 It means that anyone who visits your profile can see your pictures, opinions or other content you have shared without being on your friend list. Cyberstalking is a real thing and might lead to serious problems. Thus, you should check your settings and make sure that only people on your friend list can see your posts. 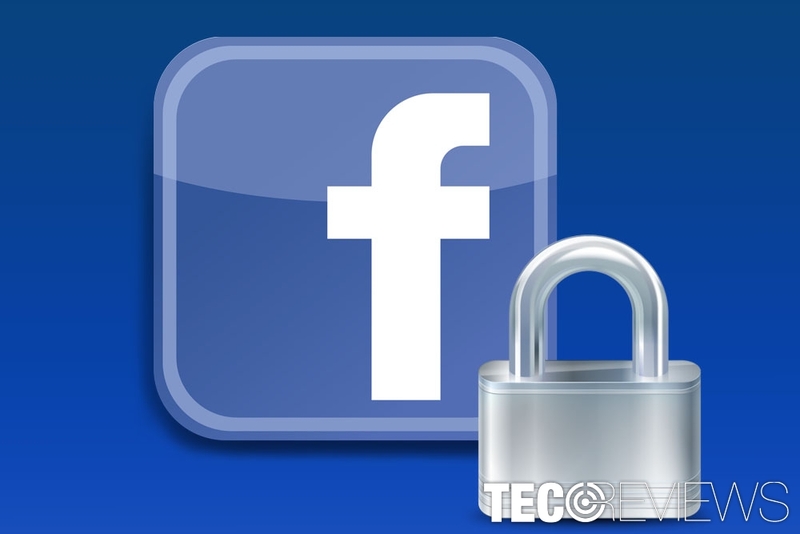 Secure your Facebook account by limiting people’s access to your posts. Log in to your Facebook account and navigate to Settings. Click Privacy tab in the left pane. In the Your Activity section, you should see “Who can see your future posts?” entry. Click Edit and from the drop-down menu choose Friends. Additionally, you can review all your posts and things you’re tagged in by clicking Use Activity Log. However, we recommend clicking the entry below that allows limiting the audience to your previous posts. Click Limit Past Posts link and then click Limit Past Posts button. Your birthday, contact email address, phone number, workplace, school, relationship status and many other things might be visible to public too. However, it’s not always a bad thing to reveal where you work in case you are looking for a job especially in social marketing or advertising. But talking about your contact details or even home address it’s not right. Therefore, you should look through the information you have entered into your Facebook account and limit its visibility. In order to so, go to your profile, click About tab and change privacy icon next to each entry. Social networks are all about making connections online. However, not every online person is your friend. Scammers, spammers, cyber criminals and many other evil-minded people are looking for targets on Facebook. Thus, you should minimize the risk to receive a fake friend request, misleading message from a crook or some version of a Facebook virus. Who can find you by using your phone number (everyone, friends of friends or friends). Access Privacy section in Facebook Settings. Under How People Find and Contact you option, you should see a question “Do you want search engines outside of Facebook to link to your profile?” Click on it. The menu expands, and you will see Allow search engine outside Facebook to link to your profile entry. Unmark the checkbox next to it. In the appeared pop-up click a blue Turn Off button. 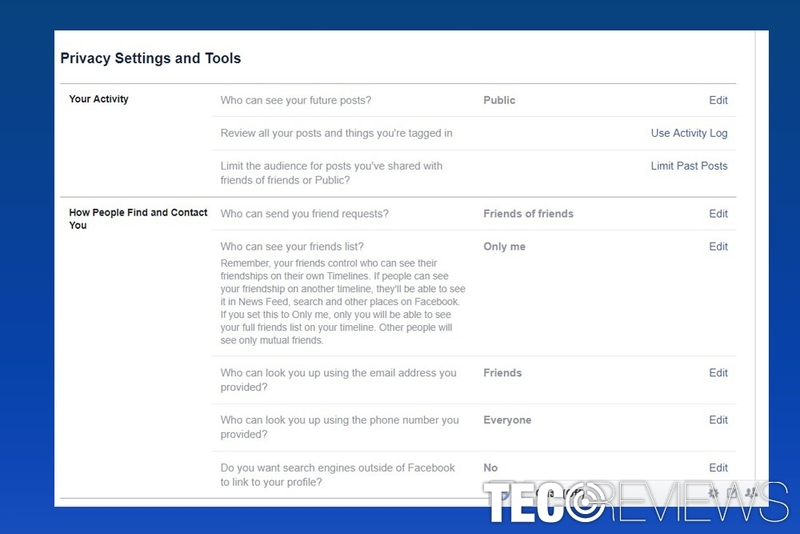 By default Facebook shows who are on your friend list to everyone. However, it’s better to keep this information for yourself only. Cyber criminals might create your fake account and contact your friends asking to lend money or tell different lies. On the right, you should find two buttons above your friend list. One is “Find Friends,” another one is a pencil icon. Click on it and choose Edit Privacy. In the pop-up menu, you have to set “Only me” to Friend List and Following options. No one should see your Facebook friends or followers. Go to Settings and access Security and Login. Scroll down to Setting Up Extra Security section. 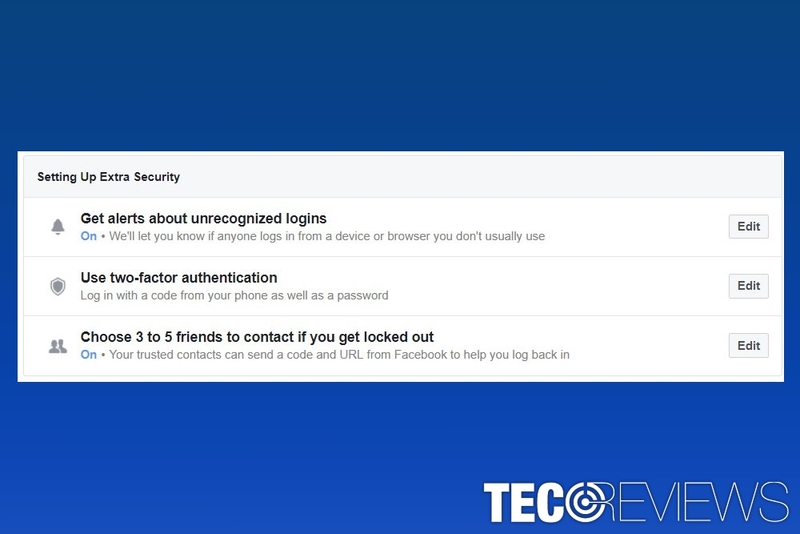 Click Edit next Get alerts about unrecognized logins. Here you have to choose Get notifications to the provided entries, such as Notifications, Messenger, and Email. Enter your password in the appeared pop-up and click Submit button. Settings a strong password helps to secure your Facebook account as well as other accounts. However, users still rely on passwords like “password123” or use their real name, pet’s name or similar details that are easy to guess. do not use the same password for other accounts. If you cannot think of any difficult passwords, you should look up for passcode generators online. 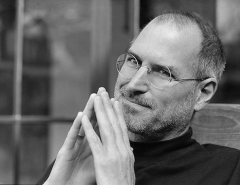 There are many tools that can help those who lack imagination to create a strong and unbreakable password. Facebook Misleads Users To Garner Support For Free Internet! ^ Jeff Dunn. Facebook totally dominates the list of most popular social media apps. Business Insider. Business site with deep financial, media, tech, and other industry verticals. ^ Andy O'Donnell. What Not to Post on Facebook While You're on Vacation. Lifewire. Tech how-to guides and tutorials. ^ Hannah Morgan. Fix Your Facebook Profile for Job Searching. US News Money. The latest business news and financial news on the market and economy. ^ Jake Doevan. Facebook virus. How to remove? (Uninstall guide). 2-spyware. Security and spyware news. ^ Nick Douglas. How to Create a Strong Password. Lifehacker. Tips, tricks and downloads for getting things done.